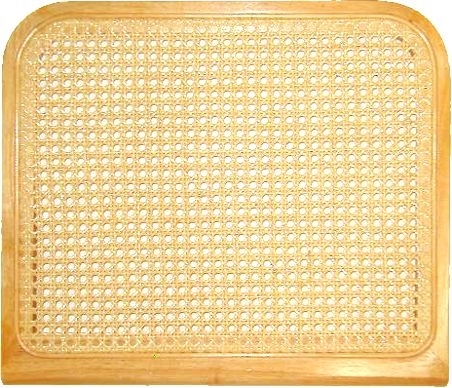 Frame made of Rubberwood with Fine - 1/2"Open Mesh Cane Webbing already installed. Just remove the old seat and replace with this standard unit. Seat NOT bored for installation.